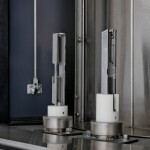 Do you have high capacity requirements that demand volume, speed and ease of use? 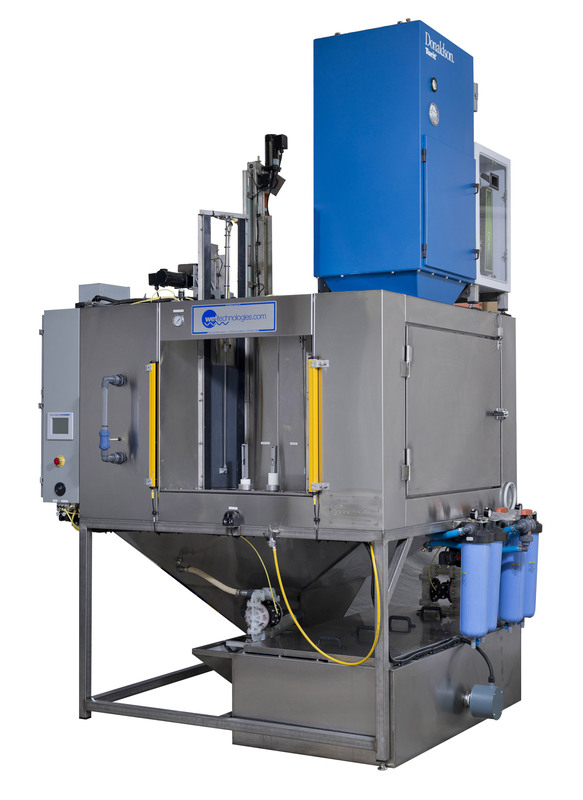 Then look into automated wet blast finishing technology. 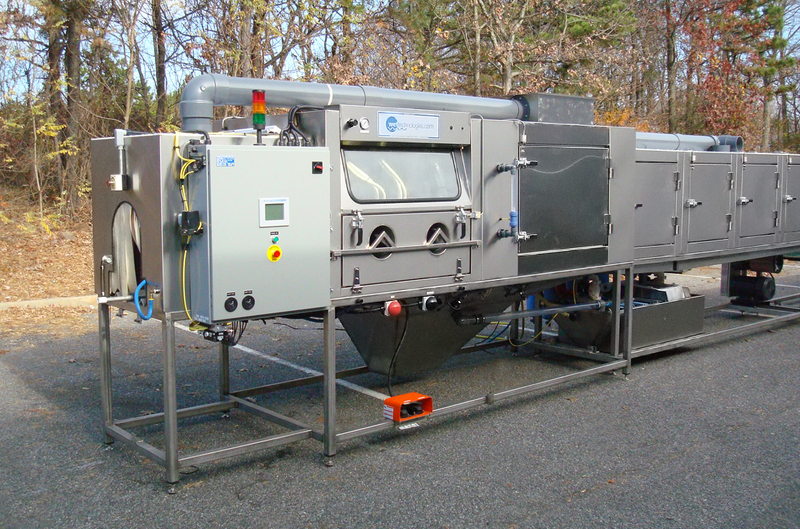 Wet Technologies engineers automated wet blasting equipment that satisfies these needs. 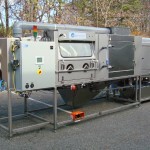 Innovations such as dual load doors and power drives enable one part to be processed while others are loaded and unloaded. 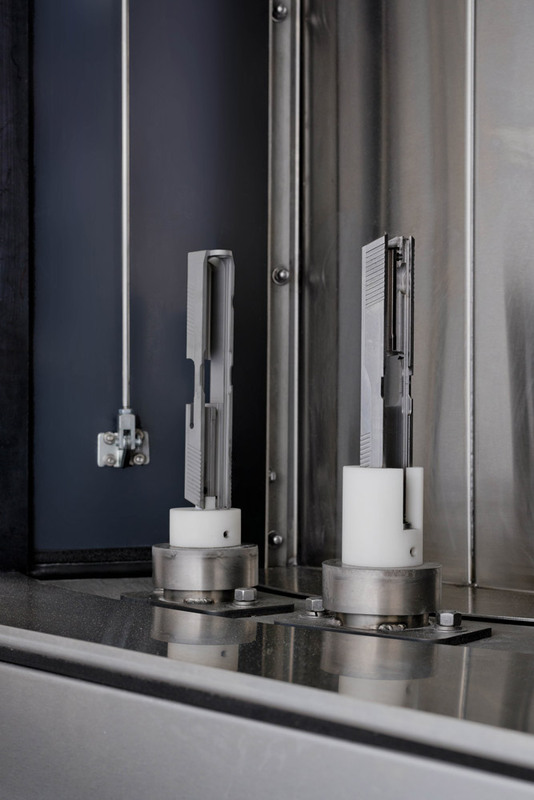 Allow us to consult with your team on how we can further customize automated finishing systems to accelerate your production. 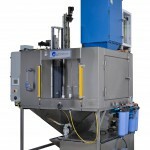 “After purchasing our Wet Technologies automatic wet blasting machine we saw our burr hand production increase by 300%. Mitch Sherman has gone out of his way to diagnose issues and to make sure the machine is running up to our standards. We had burr issues with our end customer before the installation of our machine and they have since gone away. Turntable provides 360° wet blasting action. Tumbler shown in swing door in foreground. Custom Rotary system with media density, maintenance door.